A common misconception among non-rural folks is that sustainable agriculture refers to over-priced, organic fare that somehow manages to survive pests and weeds to arrive at a local Whole Foods. In reality, sustainability involves small changes in farming practice and management in order to keep the land healthy and fruitful for years to come. The use of natural fertilizers for crops and the limitation of antibiotics for livestock are but two examples of sustainable agriculture. Another illustration of this kind of stewardship is no till farming, or zero tillage. Let’s discuss the most important benefits of no till farming. In many ways, plowing can be self-defeating. Its primary purpose, after all, is to break up the soil so oxygen and water can permeate the level into which the plant roots will grow. Broken ground has more pores into which soil nutrients can enter. Yet the heavy equipment required for plowing ends up compressing more soil than it loosens. Many have determined that no till agriculture leaves soil more dispersed than it would be after plowing. In addition, leaving cover crops in place can actually reduce compaction since organic matter is found to actually better resist and counteract the pressure from heavy equipment. Although some compaction will result from planting and harvesting, the degree to which it is lessened by no till procedures is significant. Plowing is a major expense. Depending on the size of the farm, hours are spent making between one to three passes over the acreage – the first with a chisel plow and the additional passes with a field cultivator (also called a ripper!). 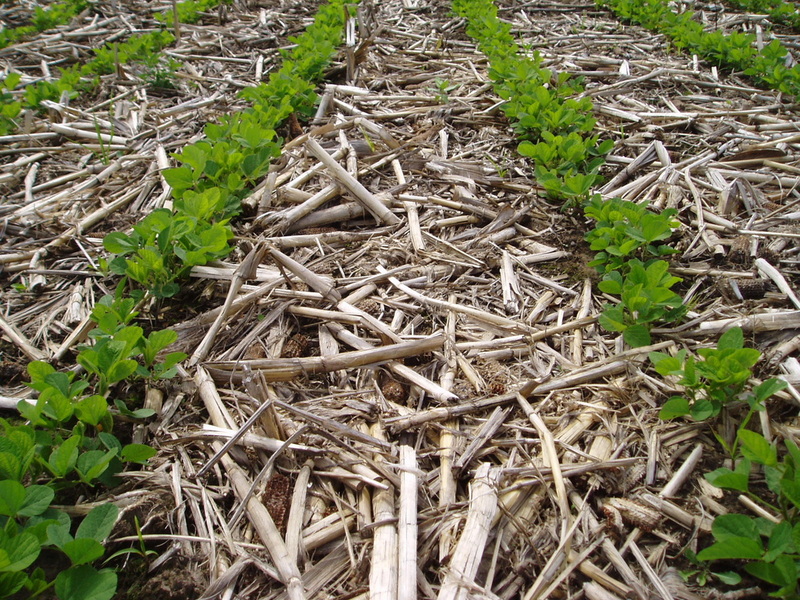 Some farmers estimate that stopping conventional tillage can save two gallons of fuel per acre. How much can be saved over a 2,500 acre spread? The time save is also substantial, and can be used for other productive tasks like tending to farm buildings, maintaining fences and caring for animals. Moreover, fewer repairs on tractors and implements are needed when engaging in no till farming. When all is said and done, a large chunk of farm assets is sunk into plowing. As input costs rise, the money-saving benefits of no till farming will become crucial factors in deciding what method of farming to go with. Probably the most damning indictment against plowing is the increased potential for erosion. What is no till farming if not a safeguard against this destructive phenomenon? Soil erosion, of course, can occur on any landscape. In agriculture, soil erosion is facilitated by wind and water that dislodge topsoil and leave the ground less fertile for crop growth. Worse, the topsoil is often transported to water bodies and streams where it can dam them up or pollute them. Ironically, the very practice that allows for greater permeability – plowing – also enables a greater degree of erosion. No till farming, without the plow, leaves top soil largely intact and more resistant to desedimentation. This is good for the soil, the bottom line, the farm and the surrounding environment. 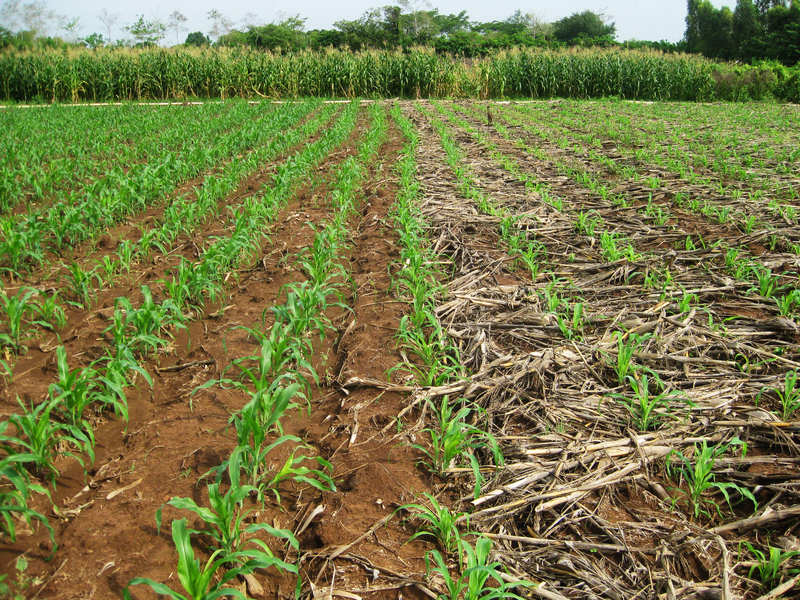 As soil is more likely to stay put under a no till regime, so are the elements applied to the soil like pesticides, fertilizers and herbicides. The United States Environmental Protection Agency has named agricultural runoff as a major source of pollution. As noted above, wind and rain can transport loosened terra firma and deliver it to water channels. The chemicals used in farming are no less prone to this process, and are thought to be threats to ecological stability as well as to public health. Unplowed ground, on the other hand, better retains these chemical additives, keeping them from contaminating adjacent streams and rivers. This is a positive public service done by no till farming. The flip side of this gain, however, is that a surplus of these chemicals can also affect the soil. When talking about the benefits of no till farming, the focus is frequently on environmental pluses. Yet there is a profound economic advantage that can not be ignored: abundant crop yields. The knock on no till farming has long been the assertion that yields are smaller than harvests from conventional tillage. Time has proven otherwise, especially on land that has diminished organic matter in the soil. Many critics of no till agriculture cite the first few harvests as evidence but, as soil grows healthier and organic matter increases, yields grow in volume to match those from plowed ground. Furthermore, the economic savings mentioned earlier often offset smaller initial outputs. Looking at yields from a regional perspective, no till farming enjoys a decided advantage in the southern and western United States. In conventional farming, plowing precedes planting. Most often, a plow employs blades, or disks, to break up the soil and create trenches of productive soil known as furrows. It is into the furrows where seed is later dropped. Unfortunately, the blades cut nearly a foot deep into the ground, making topsoil erosion by sun, wind and water more likely. On the other hand, no till farmers leave the weeds and hardened dirt from the previous year in place, instead dropping seed through small openings cut by an implement called a coulter. Once these modest perforations are made, seed is inserted and the holes are closed, leaving the vast majority of topsoil untouched. The advantages speak for themselves. Plowing ground has long been associated with farming. There is even a strange romance about it. Yet those farmers who wish to keep their fields productive and undefiled are well advised to consider no till farming. As producers and consumers, they benefit from soil that is rich in organic matter, free from compaction and resistant to runoff. The cost savings are not bad, either. While no system is perfect, the benefits of no till farming show that this method of farming is the closest thing to a win-win proposition. If news reports are accurate, no till is fast becoming a preferred method among farmers. Hey Buddy!, I found this information for you: "5 Benefits of No Till Farming, a Sustainable Option for Farmers". Here is the website link: https://backtofarm.com/no-till-farming/. Thank you.